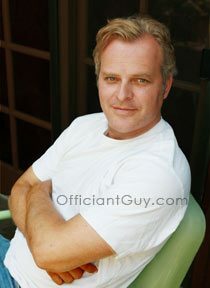 For many years I have been one of the most popular Los Angeles wedding officiants. I have been lucky enough to officiate all kinds of weddings all over Southern California including numerous Santa Monica wedding venues. A number of those weddings have been at the stunning Huntley Hotel. I strongly suggest that you consider this exceptional venue for your wedding ceremony and reception. 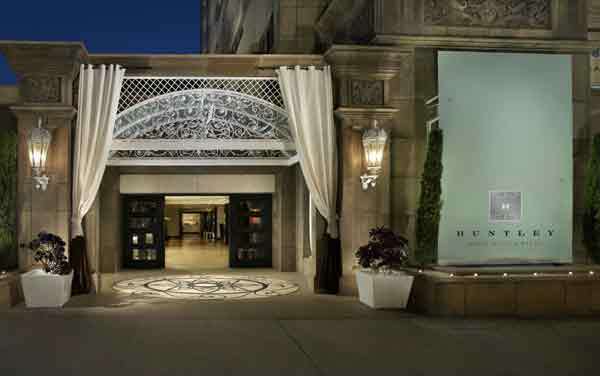 The Huntley Hotel has distinguished itself as one of the Los Angeles area’s most unique and luxurious wedding locations. The various wedding settings at the Huntley Hotel features stunning panoramic backdrops for your dream wedding ceremony. Whether you plan a civil wedding ceremony, a religious ceremony Huntley’s event spaces are sure to exceed your expectations. The Huntley Hotel’s exceptional catering staff can cater to your intimate wedding or your large wedding celebration. The Huntley Hotel Santa Monica Beach and its expert event consultants offer the perfect modern beach-side atmosphere, amenities, services and excellence to make your wedding truly unforgettable. With over 5,000 square feet of intimate meeting and banquet spaces overlooking the oceanfront, your beach wedding of any size will take on a whole new meaning with upscale service and high style. 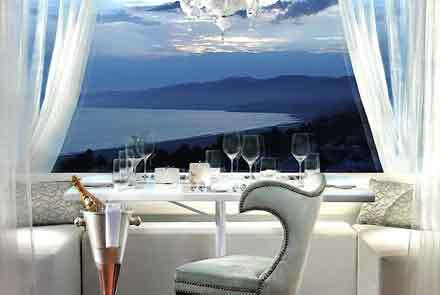 This Los Angeles wedding officiants absolutely loves the most dramatic setting of all at the Huntley, the Penthouse. This gem is located on the hotel’s rooftop and features nearly 360-degree panoramic views of the Ocean, the Malibu hills, and the Los Angeles cityscape. If you are making plans for your civil wedding ceremony or religious wedding and reception in Santa Monica or anywhere else in the Los Angeles area consider the gorgeous and upscale Huntley Hotel as your wedding venue. 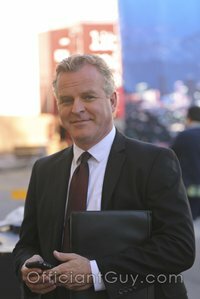 And consider one of the most popular, experienced and professional Los Angeles wedding officiants, the Officiant Guy, as your non-denominational wedding minister.